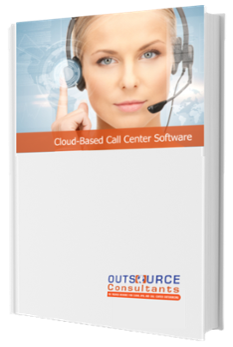 Download Our Free Cloud Call Center Software White Paper! If you’re considering moving your call center to the cloud, then this contact center white paper is a must-read! As cloud-based call center software solutions are rapidly growing, sifting through the options to find the cloud-based call center vendor that is the best fit for your organization is a critical decision and requires a detailed analysis. As older, premise-based systems are coming to the end of their shelf life, call center executives and teams who make these selections are tasked with choosing the right cloud-based replacement solution.To make sure the decision you make is the right solution for your company, reading this call center white paper will help you understand the cloud call center software marketplace, criteria to evaluate, and partnerships you can form. Clear guidelines for an effective cloud-based software selection process. The value of cloud-based systems and a clear understanding that a robust vendor evaluation and selection process is paramount to finding the “perfect fit” solution. The ample resources available to ensure you make the right decision for your organization. Customer Care or Customer Experience executives who are considering upgrading or changing their call center software or looking for ways to gain a competitive advantage in the marketplace. Call Center Management or IT Operations Staff who have the responsibility of vetting and implementing technology and programs for their call center. Call Center BPO executives and their customers interested in understanding how the technology can protect uptime, provide reporting transparency, enhance customer service levels and extend business value. Fill out the form to download our FREE Cloud Call Center Software White Paper!